martha-gallagher: Very civilized for cats! martha-gallagher: Hi Lynne, Sorry you're missing the snow storm up here. lgdetmer: We need the moisture...! 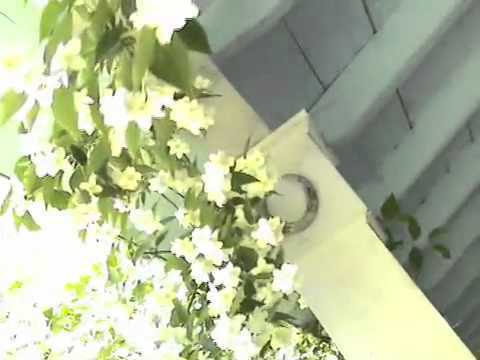 Charlotte Smith-Jones: This is so beautiful!! nana5cat: What is the name of the harp maker again? Brian wants to march in the band with his harp. Charlotte Smith-Jones: I had a little tech problem in the beginning so I missed some of the speech does each piece start with new day and a number after it ? martha-gallagher: Alex Marini -- not too far from where you are. Not far from New Holland if I remember correctly. martha-gallagher: New Day or End of Day with a number. nana5cat: Thank you!! Thank looks marchable!! nana5cat: Brian was going to try his big Infinity by Heartland. This would be much better!! 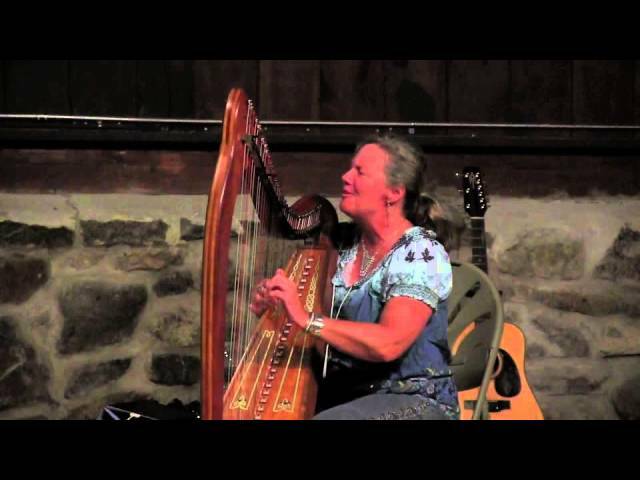 martha-gallagher: This harp is named "Grace". "Hope" is a Dusty Strings harp. Suzannewt: Do you have a song titled "The Dolphins' Song"? martha-gallagher: For the story of "Hope", please got to adkharper.com and look in the sidebar on the right. (The site is not very mobile friendly, yet. nyannatobin: How many strings? Who is it made by? I am enjoying your stories. I could listen forever. Shalom. martha-gallagher: "Dolphin Song" -- not yet. martha-gallagher: Maybe 28 strings. Called "The Bass Minstrel". Made by Marini Harps in PA.
nana5cat: Thank you. The music is beautiful!! 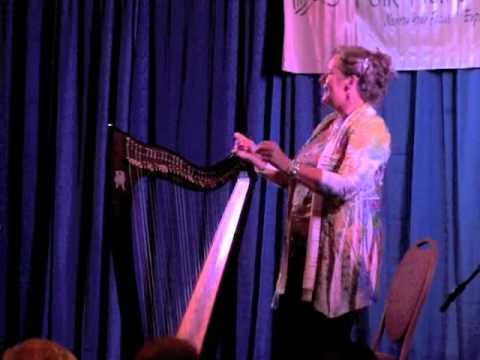 martha-gallagher: This harp has a wireless mic inside the sound box. lgdetmer: Your natural warmth and caring nature inhabits your music. You bring joy and peace to all of us listening. Thank you! nanceboth: And I thought you were just hanging out in the sun! Thanks for sharing. Suzannewt: It is so heavenly. nana5cat: Continued...,can't wait to hear the CD!! nyannatobin: mine also. I feel like crying to have such beauty after such hard times. Do you ever come to New England? Looking forward to webinar. Shalom. Charlotte Smith-Jones: This was so lovely thanks Martha! martha-gallagher: So.. a webinar is tentatively planned for Nov. 27 (next Sunday). martha-gallagher: We're 45 minutes from VT. Where in New England would you like to see Martha perform? I loved the music and the stories. I was surprised by the beautiful low strings on her harp. I thought those harps had mostly high notes. What was your favorite part of the performance?All of it. Besides being a fantastic musician, she is so comfortable sharing her life with the audience. Martha's music tonight (as always) was soothing and peaceful. I loved how she shared the details of what she was doing when the music "came" to her. Loved the concert. It was a wonderful intimate experience. Great show. Thank you, Marta. Sorry we missed Miss Tiggy. Cats are their own masters. Loved hearing Grace! Good luck! Singer/songwriter Martha Gallagher is an enigma that defies musical pigeonholes. Her original songs glide in the blink of an eye from wailing blues to Latin grooves to Classical inspirations, from swingin' Jazz to vibrant contemporary Folk. Her voice is chameleon-like, ranging from smokin' hot to achingly tender, and all that's in between. Add to that the unusual twist that her instrument of choice is not the expected guitar, but the HARP, bold and beautiful. And not just any harp; Martha’s one-of-a kind Orphan Harp, named Hope, must be seen and heard! “Martha Gallagher is Janis Joplin-Joan Baez-Jean Redpath all rolled into one! She's a treasure; her music lifts up the spirit and reminds us why we're here."